As technology continues to advance, it is becoming increasingly common for businesses to conduct some, if not most, of their meetings online. Whether it is to connect with people in the same building, across town, or even in another country, web conferencing is a useful concept for many businesses. Here are some tips to help you get the most out of your next web conference. 1. Make Sure Your Equipment is Functioning before Starting. Online conferencing absolutely relies on working equipment and Internet connections. If your equipment isn’t working properly, or at all, it will be very difficult to take part in the conferencing session. Don’t delay the meeting because of technical issues, such as having an unplugged webcam or headset. 2. Use the Right Software. Today’s software is designed to make communication easier. There are many great programs out there, including web conferencing tools like UberConference, Google Hangouts, iLinc, etc. These tools allow for easy and effective collaboration, no matter where you are logging in. 3. Begin with a Personal Touch. As with face-to-face meetings, it’s always nicer to begin with a personal touch. This is especially true when it comes to online conferencing, as there is a natural element of feeling disconnected with online meetings. A simple joke or a funny photo of the office staff, or of your latest vacation, adds a human element to the meeting. This tip might seem obvious, but if you are about to take part in an online conference call, it is a good idea to refrain from sitting in front of a window. Although the view may be nice, you can unintentionally cause frustration as the glare makes your face too light or too dark. In addition, sitting in front of a window can distract others who are on the call. The more you participate in online conference calls, the more you should consider buying a headset. It may seem like an unnecessary addition until you think back to all those calls where you were fumbling around to find an email in your inbox or struggling to hold the phone upright while trying to type. 6. Keep Your Posture in Check. Just because everyone is seeing each other on a computer screen doesn’t mean you have the right to slouch, or that lousy posture won’t go unnoticed. You wouldn’t slump down in your seat during a face-to-face meeting, so avoid doing so during a web conference. Make sure your back is straight and that you are sitting up tall. We all rely on email for our personal and professional lives, so why not make it a crucial part of your conferencing experience, as well? Upon doing so, you will probably notice that it’s much easier to send out web conference invitations, and that you are able to jump into the next meeting without a hitch. Ordinary objects, such as glasses or zippers, may not seem like a big deal until the light catches them in just the right way, causing a distracting reflection. If you can take your glasses off, it is best to do so. Another option is to close the blinds and take a position away from direct light. With the amount of technology that is available today, a webcam can seem a bit dated. However, this tool should not be underestimated. A webcam creates a more intimate experience, and everything from facial expressions to important details can go over better with a webcam. 10. Watch Your Hand Movements. That grand point you’re trying to make – and imitate with your hands – will go over much better if your hands are actually in the shot. When you are doing the video chat, make sure that your hands remain in the boundaries of the camera while you are talking. Although WiFi may seem like a good option for a web conference call, it has its drawbacks. Some of the biggest issues are a connection that can be dropped and transmission speed and quality that can be spotty. 12. Look at the Camera. Notes and content that you need for your presentation may catch your eye, but avoid looking at anything other than the camera while you are talking. 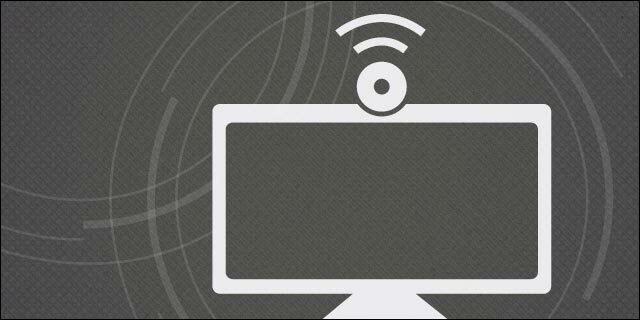 Remember that most of the people you are interacting with are watching from their computers, and they cannot see you clearly unless you look at the camera. You might kick yourself afterwards if you don’t record the meeting. Important points and notes may be mentioned during the session, and you will want to have access to them even after the meeting is over. In most cases, all it takes is a stable and reliable Internet connection along with the right tools or software, and you can enjoy the freedom of being able to meet and confer virtually. These tools can help make your next online meeting a success.